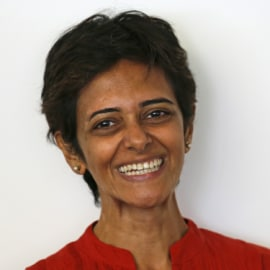 Rina Chandran joined the Thomson Reuters Foundation’s editorial team in India in January 2016. Prior to that, Rina was a business journalist for more than a dozen years in India, Singapore and New York, with Reuters News, Bloomberg and the Financial Times. Rina has an MFA in Writing from the Johns Hopkins University and an MA in Business & Economics Reporting from New York University.